For most people, the image of Japan is an enigmatic one, with a vague notion of geishas and samurai warriors butting up against buzzing neon arcades and frenetic TV game shows. Japan is indeed a nation of contrasts and those who venture there on holiday will gain a greater understanding of the unique ancient culture and traditions of this beautiful country, as well as the chance to experience the modern innovations and infrastructural genius which has made contemporary Japan a powerhouse. Japan's major cities (Tokyo, Kyoto, and Osaka) appear on the surface to be westernised, but visitors quickly realise that the sleek modern culture of Japan is expertly blended with millennia of tradition, evident in the Buddhist and Shinto temples sprinkled throughout the urban centres, intricate social rituals for eating and greeting, and other small reminders of Japan's long and proud history. Once out of the cities, visitors can explore a different side of Japan, climbing one of the country's 200 mountains, soaking in secluded hot springs, visiting ancient shrines and castles, or attending a sumo match. Whether it's for skiing in the winter, viewing the cherry blossoms in spring, or enjoying the sunshine of late summer, a holiday in Japan is a rewarding adventure for all. 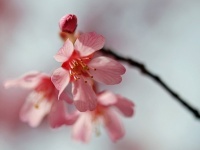 April is considered the best time to visit Japan because of the likelihood of the cherry blossoms being in bloom. Otherwise, the weather in Japan varies dramatically from the north to the south, with the rainy season generally lasting from June to early August. September is typhoon season; however, October and November tend to be a good time to travel to Japan, as the weather is mild and pleasant. Read more on Japan's Climate and Weather. - Stroll the spectacular grounds of the Tokyo Imperial Palace. - Spot traditionally-dressed geisha in the Kyoto district of Gion. - Hike Mount Fuji for stunning panoramic views. - See a traditional Kabuki play at the Minamiza Theatre in Kyoto. - Sing your heart out in a Tokyo karaoke bar. - Relax in the hot springs of Noboribetsu on Hokkaido. - Follow the 88 Temples Pilgrimage Circuit around Shikoku. - Spend a weekend skiing the slopes of Furano in the Japanese Alps. Read more about Japan Attractions. There are a few direct flights to Japan from the UK, mostly from London, but they don't tend to be cheap. Likewise, direct flights to Japan from the US tend to be pricey and depart from cities on the west coast like Los Angeles, San Francisco, and Seattle. Get more information on Airports in Japan. Memoirs of a Geisha by Arthur Golden, The Wind-Up Bird Chronicle by Haruki Murakami, and A Year in Japan by Kate T. Williamson. O-Daiko (Kodo), Kodo (Yoshida Brothers), and I'm Blue (The 5678's). Lost in Translation (2003), Kikujiro (1999), and The Last Samurai (2003). Cloissane and lacquerware, or silk kimonos. Slip-on shoes. Japanese temples, museums, private homes and even some restaurants will require that you take your shoes off before entering, so having non-lacing shoes will save a lot of time and effort. Tokyo turns pink each spring during the Cherry Blossom Festival. See fantastical sculptures at the Sapporo Snow Festival in February. Watch giants face off at Osaka's Sumo Spring Grand Tournament. More information on Events in Japan. It is common in Japan to eat rice at every meal, including breakfast. A holiday in Japan combines the best of both ancient and modern attractions, and makes this enigmatic country a delight to explore.